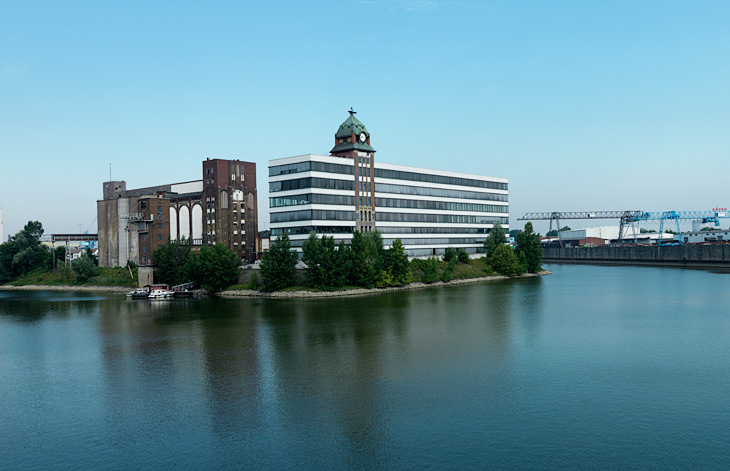 The Plange Mühle, a former grain mill from 1906, converted by Ingenhoven Architects between 1999-2002. 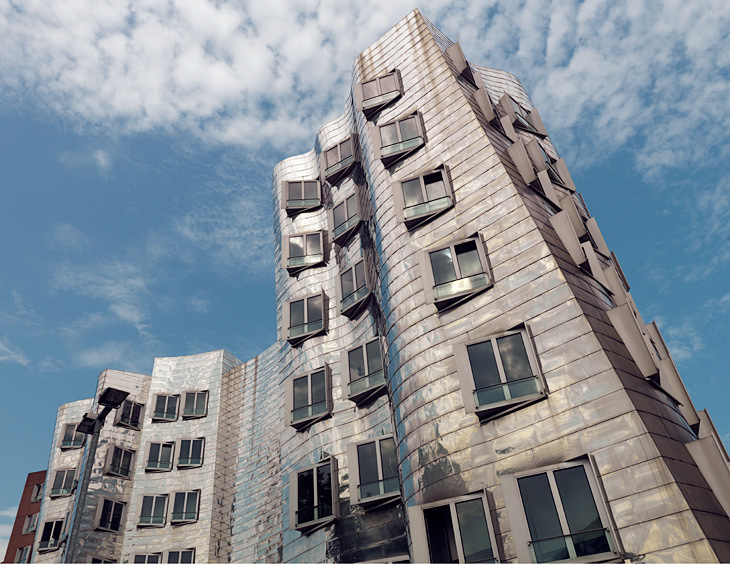 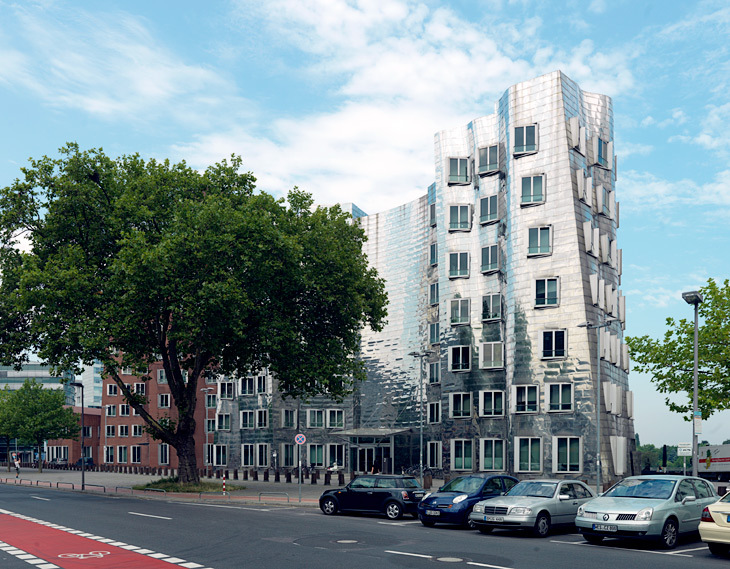 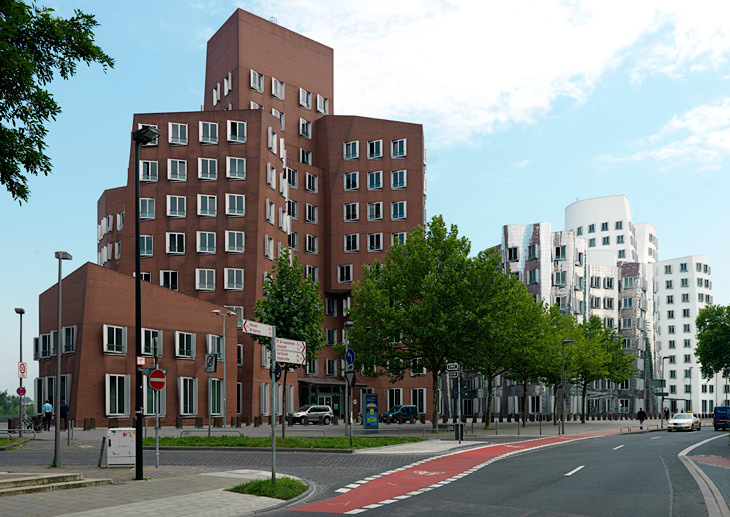 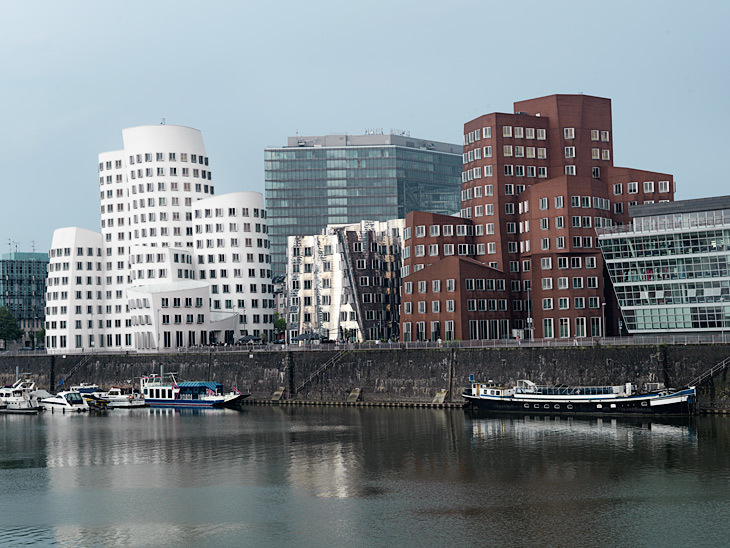 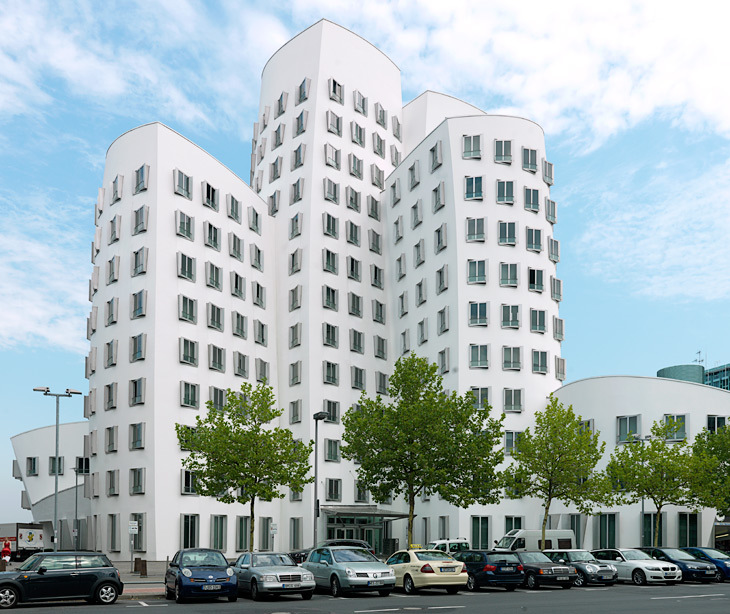 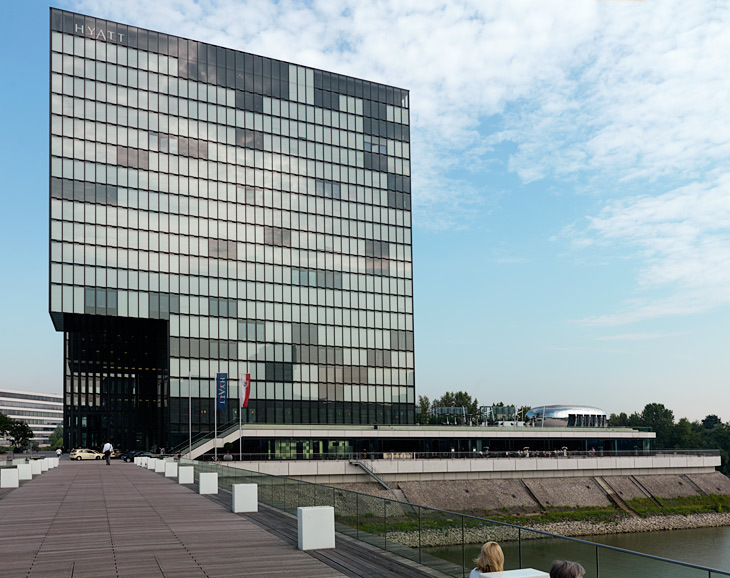 The New Zollhof or 'Der Neue Zollhof' located at Neuer Zollhof 4-6 in Düsseldorf Medienhafen by Architect Frank O. Gehry consists of there office buildings in respectively white, silver/mirror and red. 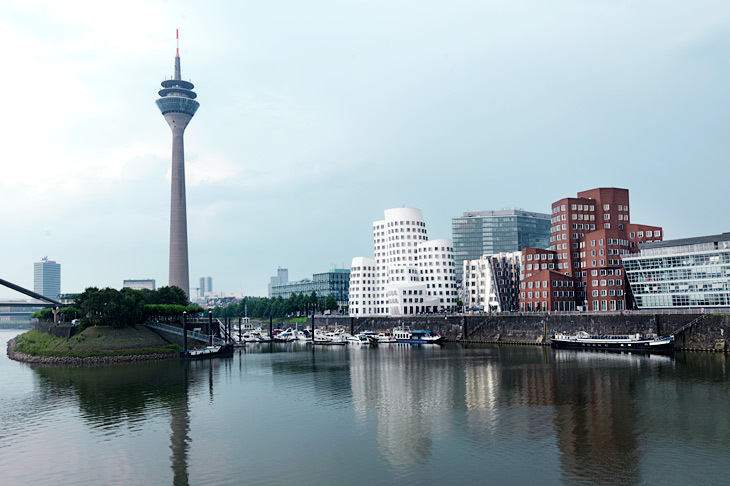 The tower to the left is the Rheinturm. 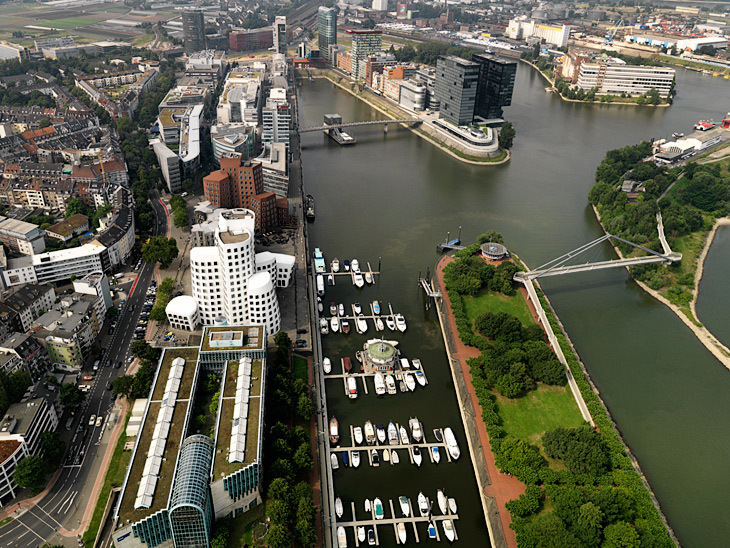 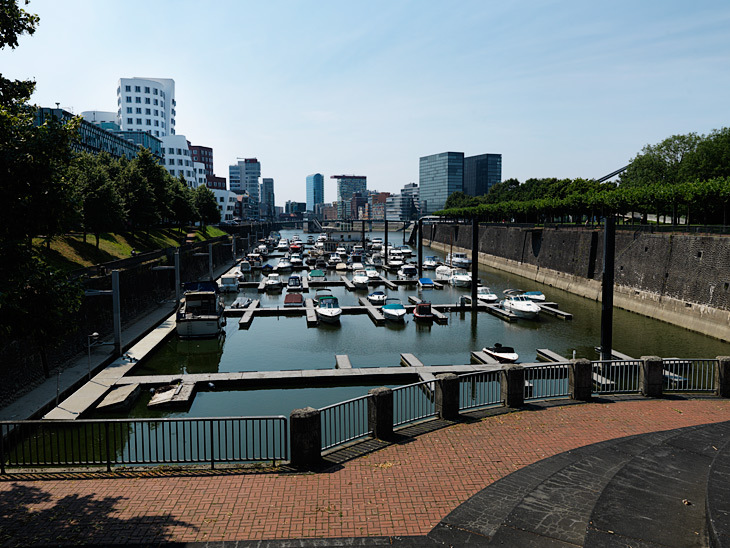 Düsseldorf Medienhafen (Media Harbor) is the redeveloped port of Düsseldorf with several prominent architectural constructions, e.g. 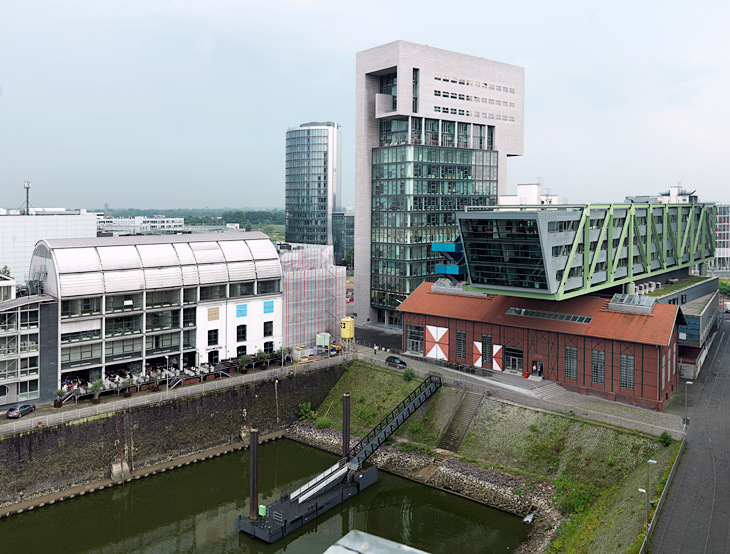 the there Frank O. Gehry office buildings in respectively white, silver/mirror and red, the Dock Office Tower, PEC Port Event Center or Wolkenbügel, SIGN! 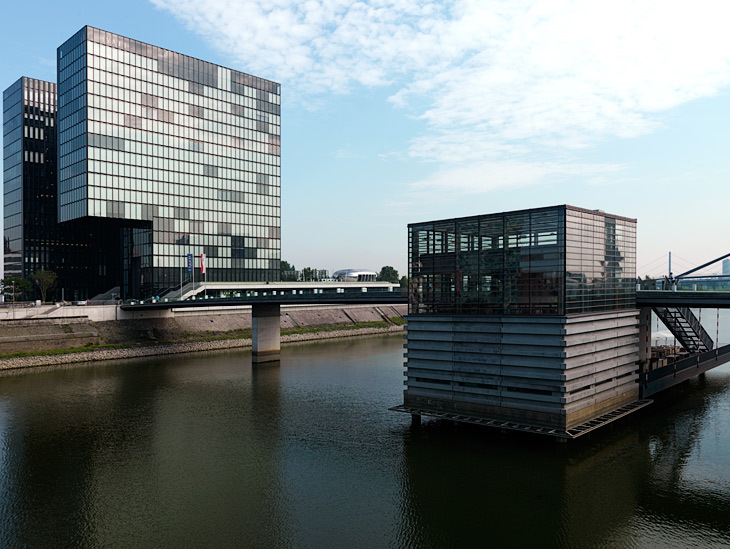 Hafen Office, Colorium, the Roggendorf-Haus, the Plange Mühle and Hotel Hyatt Regency. 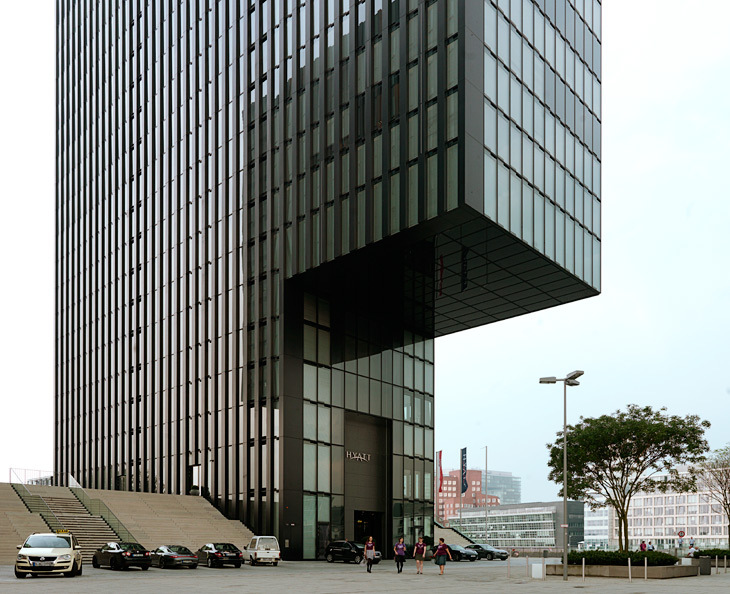 Photographed by hansen-hansen.com, 2012.